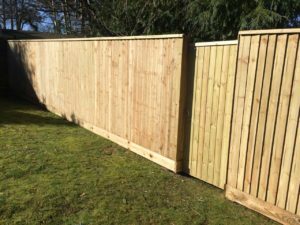 Fenceworks (Dorset) Ltd is a well established, local, family run company specialising in quality fencing, repairs, decking and gates. We can provide you with a free no obligation quote. We pride ourselves in working in partnership with our customers and I believe in using high quality materials, this reflects in our high quality of work. We have excellent communications skills and take our time to listen and talk to customers, showing a portfolio of completed work to ensure complete customer satisfaction. Fenceworks commits to a task and sees it through to the end before embarking on the next one. You can come to us for high-quality fencing installations, repairs, and maintenance work. 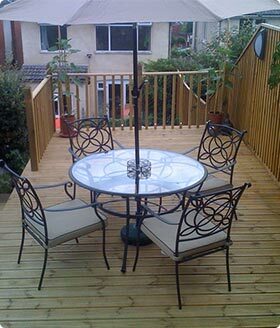 We have many years of experience in the fencing trade and can handle all types of fencing work. We also hold full public liability insurance up to £1m and our approved by Checkatrade.com. We serve domestic and commercial customers in Dorset and the surrounding areas. And also unlike large companies we do not pass you from person to person place to place, when a potential customer gives us a call we do not pass them from person to person we simply answer any and all questions we are asked to the best of our ability, and book any work, this makes us very efficient in our work and can get to many more customers. 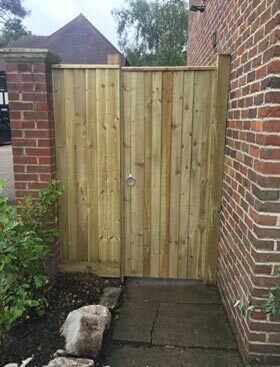 Also when you choose us to provide you with some fence panels Poole you will be very surprised at the great selection of products and designs that we have for you to choose from and we are certain that you will be happy to work with us. Over the many years that we have been in business we have obtained a very large client base so we have gained lots of experience and have gained a large customer satisfaction rate. We also pride ourselves in our very high rate of our customers who are very happy with the service we provide.